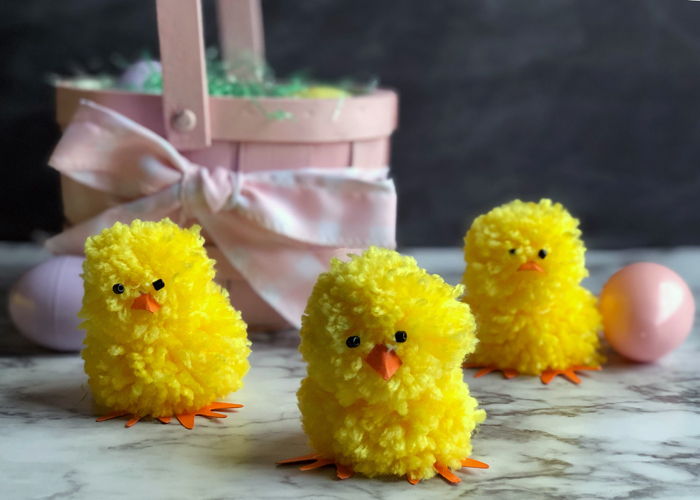 Your kids will love making cute Easter Chicks as decorations from yarn pom poms. It’s a relatively easy craft that most kids can make with ease. Just wrap some yarn around a cardboard template, glue embellishments, and you are finished. These cuties make lovely decorations to help you celebrate Easter or the beginning of the spring season. Glass E-Beads 6/0This craft is easy enough for kids to make. Just download the free pdf template and cut out two cardboard donuts in the larger size, and cut out two cardboard donuts in the smaller size. Files are also included to cut the templates on an electronic die cut machine. The smaller template is for the head of the cute Easter chicks, and the larger one is for the body. Cut the beak and feet on your Cricut or print out the PDF onto a sheet of orange cardstock and trim with scissors. Place two cardboard donuts of equal size on top of each other. 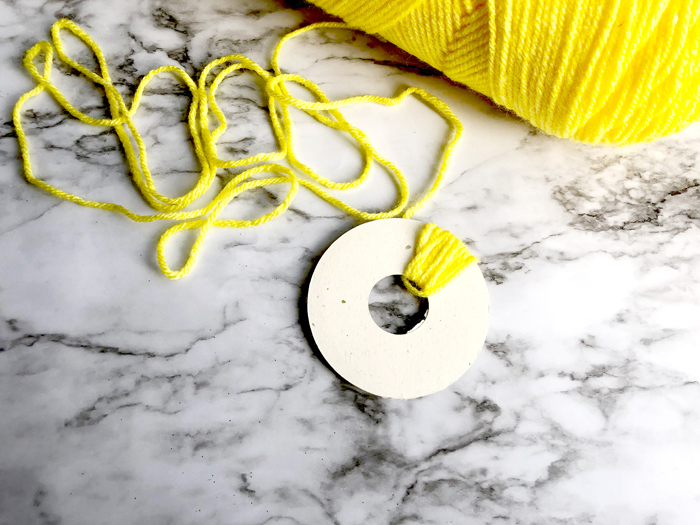 Cut a length of yarn approximately thirty-six inches long and start wrapping the yarn around the donut templates as in the photo above. Cover the entire cardboard template so that none of the cardboard is visible. You can tie on additional yarn onto the end of the yarn string if necessary and continue wrapping. Remember, the thicker the yarn layers on the cardboard template, the fuller and fluffier your yarn pom will be. Use the larger donut template to make the body pom and the smaller donut template for the head. 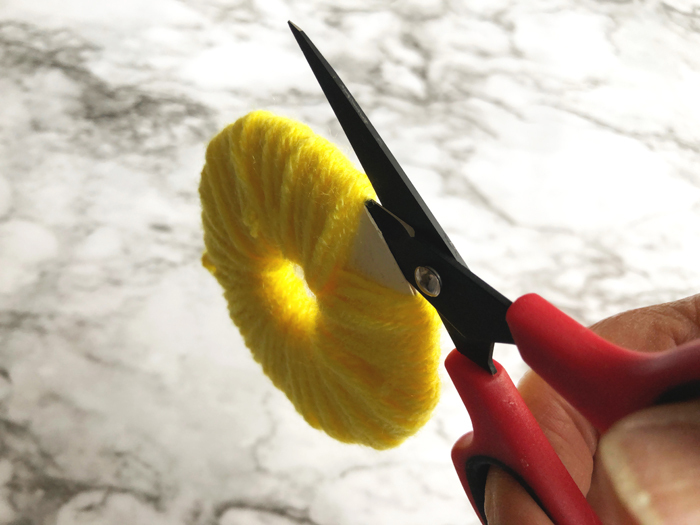 After you are finished wrapping your pom insert scissors in between the two cardboard donuts, cut the wrapped yarn between the templates with the scissors in a circular motion. 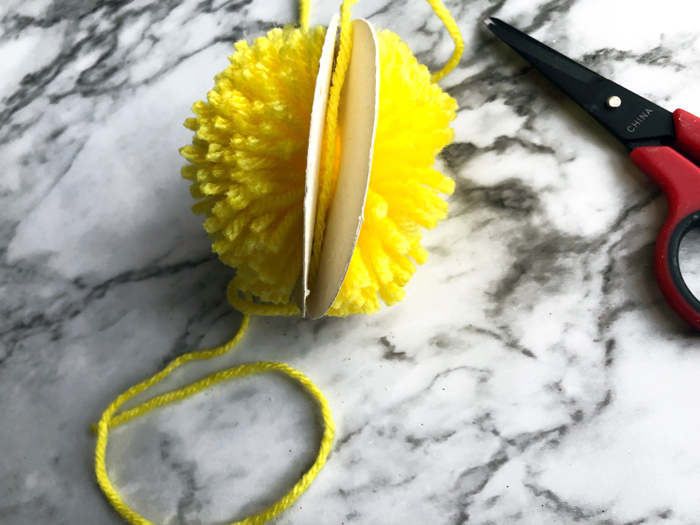 Pull the cardboard templates slightly apart and tie a yarn string tightly around the center of the pom. 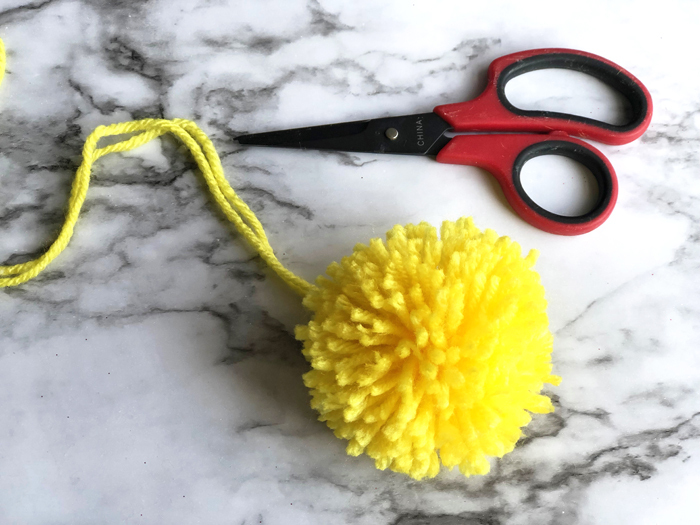 Remove the cardboard templates gently from the pom pom. 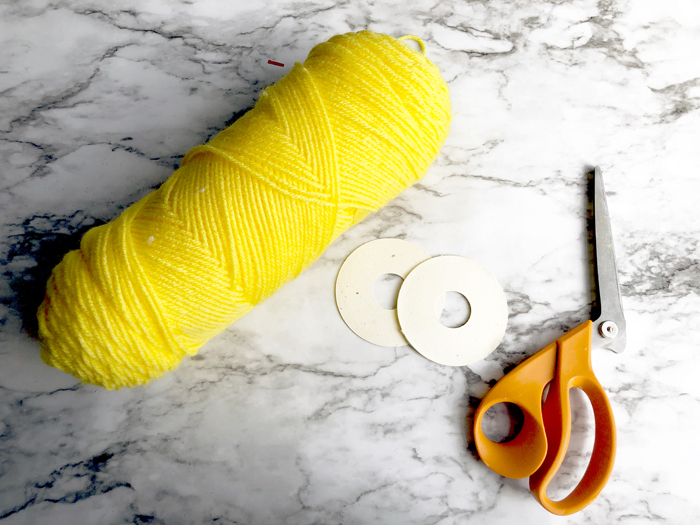 Use your fingers to fluff the pom and trim any loose strings with scissors. Glue the head and body together with a bit of hot glue. 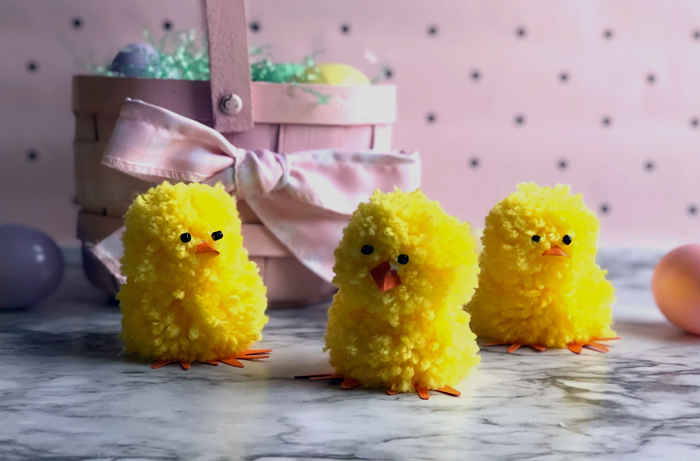 Attach the feet, beak, and eyes with hot glue, onto your cute Easter Chicks. That’s it! You are now ready to use your cute Easter chicks as decorations or part of your child’s Easter basket. So adorable!